Lego Hero Factory Brain Attack is a free Windows 8 game app. The game is based on a series of toys by LEGO Group, which is marketed for 6 to 12 years old. Lego hero Factory has a pretty good reputation in the market. There are already different games, comics, and TV series based on Lego Hero Factory. And Brain Attack is the latest add on to the series. The game plot is as follows: a mysterious villain released an army of parasite like creatures called Brains, that can take over and control others’ mind. The brains already took control over many species, some of which includes: Dragon Bolt, Frost Beast, Pyrox etc., and are attacking Makuhero City (hero’s city). Now, it is only you and your sidekick, who can save the day! Therefore, it is your job to defend your city by fighting back against the evil brains and the creatures they took over. 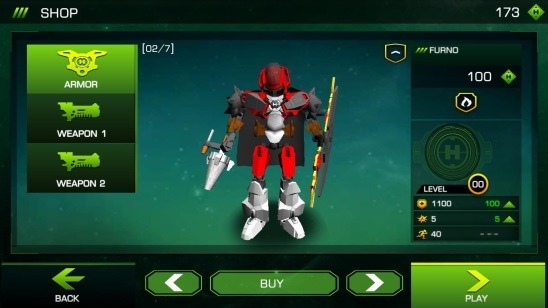 You can get this version of Windows 8 game app for Lego hero factory brain attack under the Games Category in Windows Store. Or make use of Win + Q keys. 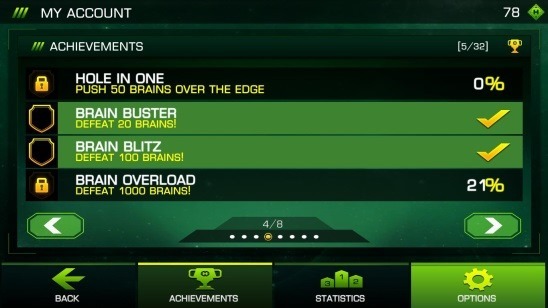 That was the plot of the game app, now here are the details of Lego hero factory brain attack. The gameplay is pretty fine. The graphics are great as the game is in 3D. The robotic characters look great. Even you as a hero, are a robot. 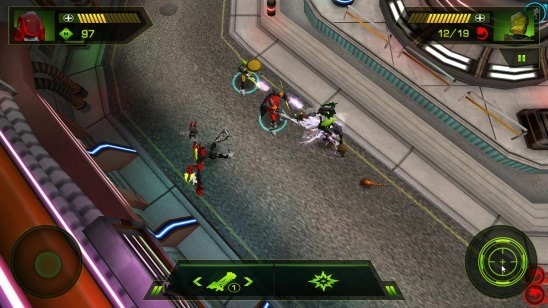 The game involves walking around a top down map, firing lasers on the enemies with auto aiming weapon. At the beginning you’ll get equipped with two normal weapons, more like guns, which have very limited range and makes very less impact. It will take multiple shots to kill an enemy. But don’t worry you’ll be wearing an armor. The armor does its job and keeps you protected against a considerable amount of attacks. But even it has its limit. Though there’s no need to get too considerate about these attacks because you can upgrade to much more powerful armors and weapons which makes a good impact, have different type of good ranges, and kills an enemy with just one single shot! Use these keys for moving character: w->up, a-> left, s-> down, and d-> right. To fire click on the circular button at the bottom right corner. 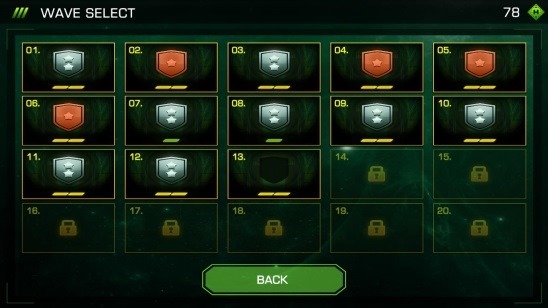 To upgrade your player weapons and armors you’ll need points which you can earn by collecting multiple pickups, killing enemies and defeating villains, finishing the round (waves) as quickly as possible, getting different achievements, etc. Once you have enough points, you can go the Shopping screen and shop for the weapons and armors. Beside the simple basic weapons and armor, you’ll also get one sidekick, who helps you through out the waves (rounds) and also kills enemies. The sidekick that you can choose includes: Furno, Rocka, Bulk, and Breez. You can change the sidekick anytime before starting and after completing a wave. Tip: Do change the sidekicks as each has different powers and abilities. Therefore, if one sidekick is not of much help in a particular wave, then it is wise to change him. 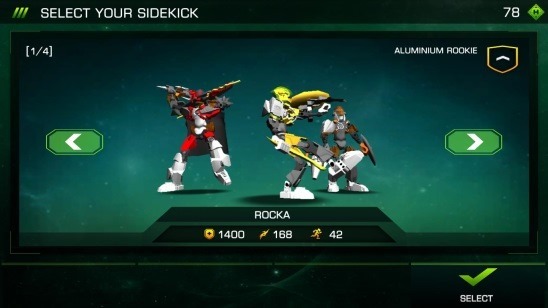 To change/choose a sidekick click on SIDEKICK button at the Game Menu Screen. In order to make the game interesting, there are total of 32 achievement goals, that you can play to achieve. 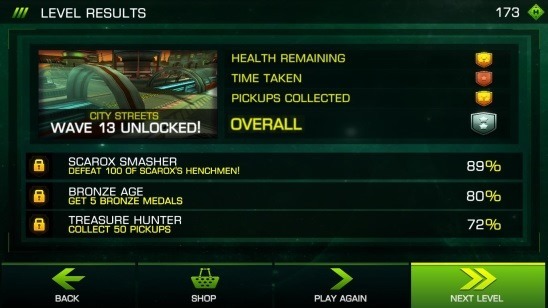 Besides that, there are total of four locations, which includes: City Streets, Spaceport, Scrapyard, and Shopping Mall. Each location further consists of multiple waves. Clear all the waves as soon as possible without killing all the enemies, and make the location secure. Finishing each wave, awards you handsomely with points and medals (gold, silver, or bronze). Good Windows 8 game app version of Lego hero factory brain attack. Earn points after each wave to upgrade firepower and defense. A sidekick to assist you. Lego Hero Factory Brain Attack for Windows 8, is an interesting game to play. The gameplay is fine. It’s fun, addictive, and functional. All in all, it is a good free Windows 8 game app. Get Lego Hero Factory Brain Attack here.